Reach relevant seekers on and beyond Monster.com using Monster’s industry leading proprietary ad technology. Monster Career Ad Network (CAN) is a recruitment ad platform that gives additional distribution and visibility to any Job Ad. Our targeting technology pinpoints the right seekers, to help you recruit faster. 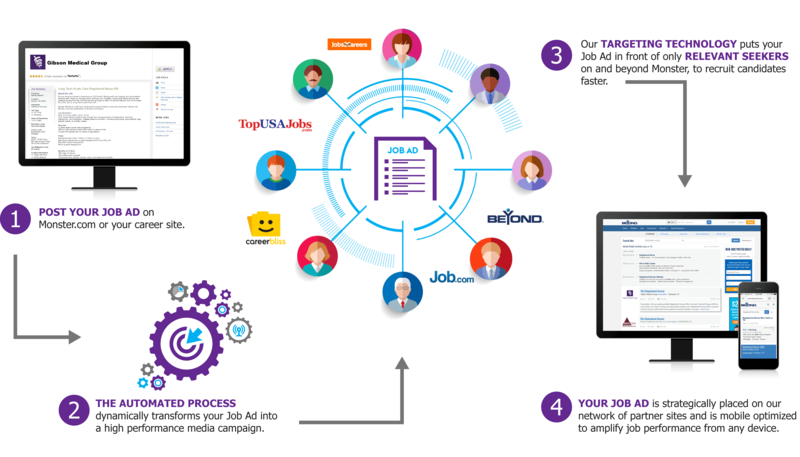 Monster Job Ads are transformed into online ads, then strategically placed on our network of partner sites.